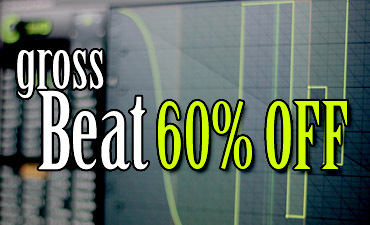 For a short time only you can get Gross Beat at 60% off. Even if you already own Gross Beat, we recommend you click through to the sale news item and watch the latest Gross Beat demo video. Offer ends Dec 31. Buy any 3 Loopmasters packs and get 30% OFF the total price. 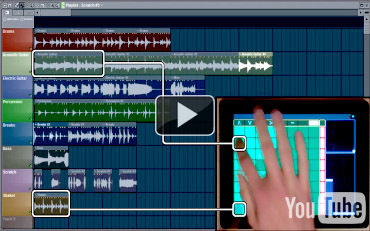 The video above shows Loopmasters loops being tested in the the up-coming FL Studio Performance Mode. LoopMaster Jazz / World, Percussionism, Producers Essentials, Raw Power, Session Drums Laurie Jenkins, Twisted Dub, Minimal Tech Vox 2, Progressive House Melodies, Dutch Electro House, Re-Zone Big Room House Essentials & Re-Zone House Progressive And Mainroom. Nucleus Soundlab Ambient Drums, MK digital Keys, OB Resurrection, Viral Outbreak, VS Resurrection. Click for more information, links & demos. 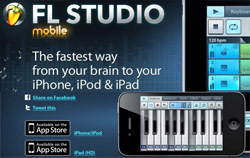 Includes FL Synthmaker 2 as part of your Lifetime Free Updates. Entitles you to SynthMaker 2 professional Edition upgrade pricing. Learn more about the FL Studio 10.0.9 update by clicking the image above. Groove Machine is virtual 'Groove Box' within your sequencer, perfect for live performance or use it as a hybrid synthesizer, drum sampler or to create loops.